I’ve been back from ACTFL for a while, but immediately upon returning I discovered that a bunch of my websites (all hosted on the same shared server) had been infested with malware. So I had that to deal with, in addition to a mountain of other pre-Christmas things. The server was likely infected because an old WordPress install (that should have been deleted) was exploited. The best fix was a clean wipe: change passwords, export WordPress content via mySQL database dump, re-install WordPress, and re-import each website’s content. Fortunately, my web hosting service, WebFaction, was really helpful. They detected and alerted me of the malware in the first place, and provided useful guidance helping me clean it up. WebFaction is not the best service for anyone relatively clueless about tech, but if you can handle SSH and, like me, don’t mind Googling Linux commands occasionally to get stuff done, it’s really excellent. 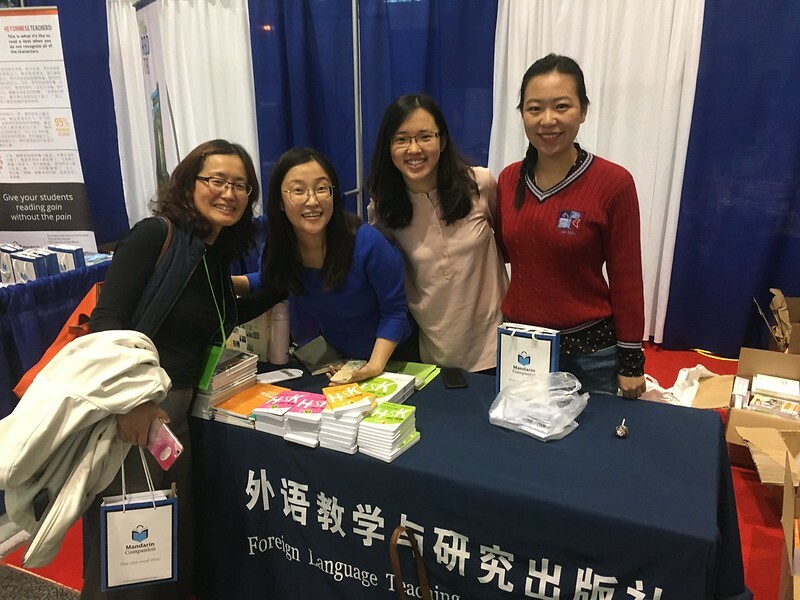 But back to ACTFL… It was great to talk to the teachers I met there, and although I was there representing Mandarin Companion this time, I also met teachers familiar with Sinosplice, AllSet Learning, and ChinesePod. It was invaluable to get this rare face-to-face teacher feedback. 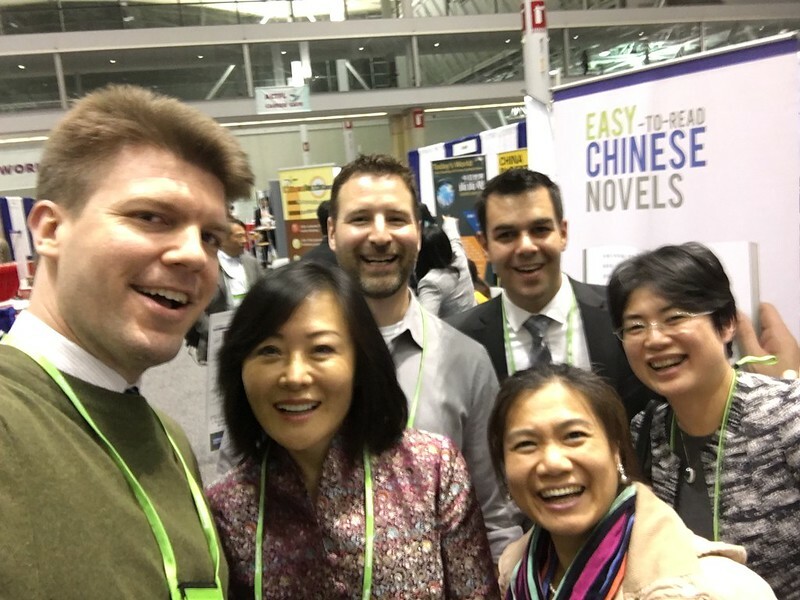 I was last at ACTFL in 2008, when almost all Chinese teachers in attendance were university instructors, with a sprinkling of teachers from cutting-edge high schools. Now there are plenty of high schools, middle schools, and even primary schools represented. 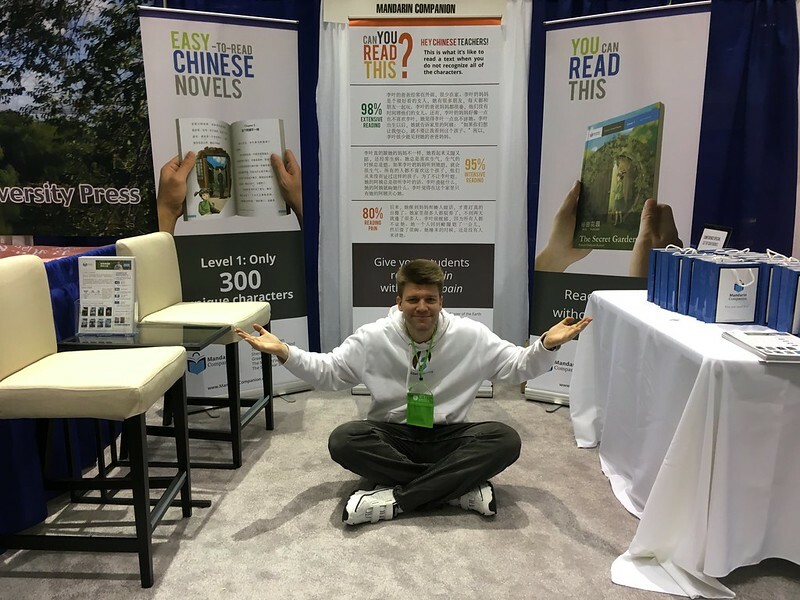 So one unexpected piece of positive feedback was that even middle schools can use Mandarin Companion’s graded readers, and the kids like them. In 2008, pretty much all Chinese teachers in attendance were ethnically Chinese. The only exception I can remember was my own Chinese teacher from undergrad at UF, Elinore Fresh (who was a bit of an anomaly, having grown up in mainland China). But now many of those non-Chinese kids that studied Chinese in college and got pretty good at it have become Chinese teachers themselves, and are also attending ACTFL. I’ve always been a proponent of the learner perspective in language pedagogy, so this is a fantastic trend to see. Chinese and non-Chinese teachers can accomplish so much more by collaborating. 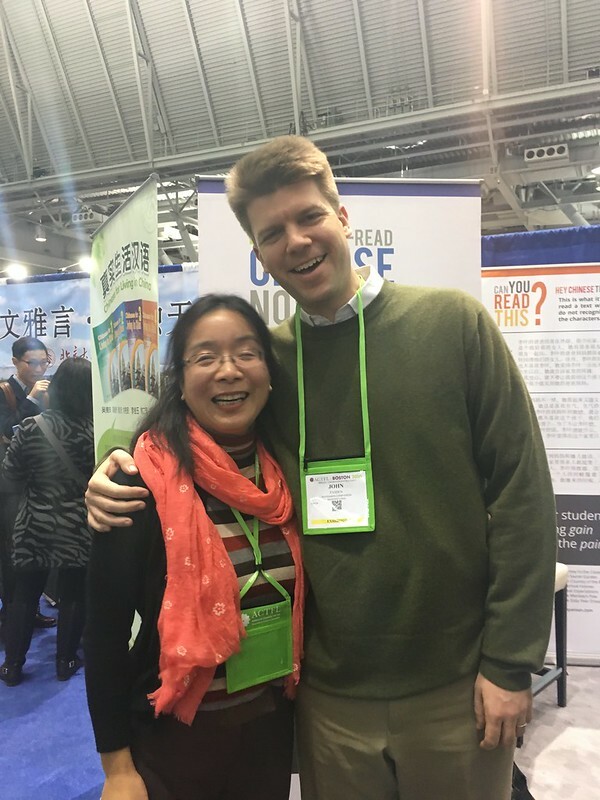 There’s a strong TPRS (Teaching Proficiency through Reading and Storytelling) faction at ACTFL, the lead proponent for its application to Chinese pedagogy being Dr. Terry Waltz. 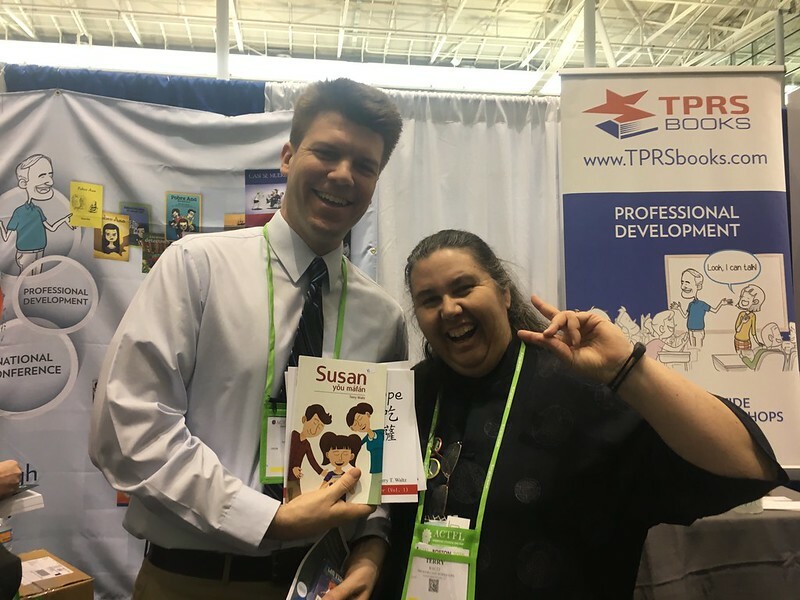 I got a chance to talk to her about her methods, as well as other practitioners such as Diane Neubauer, who contributes to a great blog dedicated to TPRS for Chinese called Ignite Chinese. It’s very encouraging to see classroom innovation in this space, and I am researching TPRS more. Boston is a pretty cool city. I regret that I didn’t have the time to check it out properly. 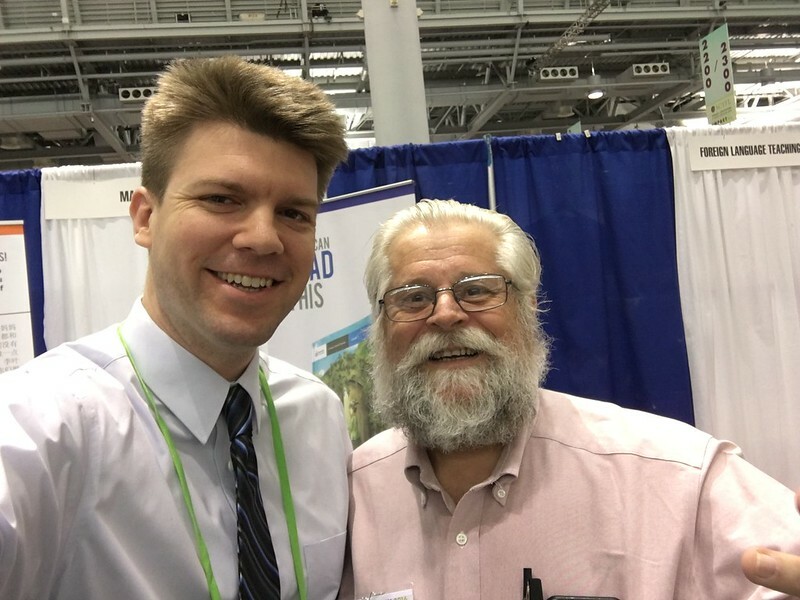 When I attended ACTFL in 2008, I met the guys behind Skritter, which went on to become a world-class service. I didn’t make any similar discoveries this time, but there’s no substitute for direct communication with all the teachers back in the USA working hard to prepare the next generation of kids for a world that needs Chinese language skills more than ever. I expect to be attending ACTFL pretty regularly in the coming years. Chinese Teachers: Use Your Chinese Names! My dad is one of those people that enjoys befriending recent immigrants in the United States. He likes to find out where they’re from, why they came to the U.S., etc. One of the things he always asks “Bob from Iran” or “Alice from China” or whoever is, “what’s your real name?” He does this not only out of curiosity, but also to show a genuine respect for their culture and interest in their identity. Most of the time immigrants are thankful for this gesture (even if he can’t always accurately reproduce the sounds that make up their names). As a teacher, you get to decide how your students address you. But in Chinese culture, it’s a non-question; teachers are simply called “[Surname] Laoshi” by their students. As a teacher of Chinese, why would you not use this opportunity to start teaching your students about Chinese culture in an easy, practical way? Get the cultural respect going from lesson one. Students will be totally on board. One of the main arguments for NOT using real Chinese names is that “my Chinese surname is too hard for foreigners.” OK, maybe your surname is hard for most foreigners, but your students have decided to learn Chinese. They probably already know it’s not easy. Even if your surname is particularly difficult to pronounce, it’s probably only one syllable. And it’s one syllable your students are going to be able to repeat over and over every lesson, and they’re eventually going to start getting it right. So don’t baby them. Let them struggle a little bit. It doesn’t matter if your surname is “Xu” or “Zhu” or “Jiang” or “Zhang” or “Yu.” They’ll get it eventually. So it’s a pretty safe bet that your students will not be pronouncing “Xu” correctly on day 1, and that’s OK. But when you tell them, “You don’t need to try to say ‘Xu.’ Just call me Vivian,” you’re casting a vote of no-confidence in their ability to learn correct pronunciation. That’s a terrible thing for a teacher to do. Not only are you saying, “you can’t learn this,” but you’re also saying, “you can’t learn this, and I won’t even be able to teach you.” So it’s also a vote of no-confidence in yourself as a teacher! Have confidence in them from the first lesson, and they will keep trying. They need you to believe that they can learn to correctly pronounce your name. This is totally true. Chinese names are hard for foreigners to remember. But you know what doesn’t help? Enabling learners to never even try to remember, and always copping out by using English names. That’s just lazy. Chinese names are hard to remember in the beginning. But learners get better at it by learning more real Chinese names, and the process starts with you, the Chinese teacher. With each new Chinese person the learner meets, he learns a real Chinese name, and one by one, the names start to seem less insane. They become manageable. Start your students down this road. But what about Hong Kong? So Hong Kong-style English names are easy freebies that we sometimes get, but they’re certainly not the norm for everyone in mainland China, and they’re not an excuse to avoid Chinese names altogether. Lastly, let me leave you a counter-example. Imagine a blond-haired blue-eyed foreigner living in China and working as an English teacher. We’ll call him “Carl.” He teaches English, but he also knows Chinese, and uses it a little bit with beginners. But here’s the thing: Carl has chosen “Zhang” (张) as his Chinese surname, and in his English classes he has all of his students call him Zhang Laoshi (张老师). It’s because “Carl” is hard to pronounce, and he just finds it easier. Is that not absurd? Would the Chinese students not find this odd? Does it help the students to call Carl “Zhang Laoshi” in English class? Chinese teachers, please have your students call you by a Chinese name. They’ll thank you later. The worldwide boom in Chinese study has resulted in a greater demand for Chinese teachers. China is the natural supply, and thus the Chinese government is working hard to train teachers and send them abroad to teach. I’ve heard from numerous sources (including people in the Hanban, an organization which oversees the governments efforts at teaching the world Chinese) that schools are often disappointed with the Chinese teachers sent to them. American schools feel that while the teachers may know about the Chinese language, they are much too traditional in their teaching styles. They just don’t connect with American students very well. It was interesting, then, to get the other side of the story. ChinaGeeks recently wrote about Teaching Chinese (and China) in the United States, and linked to a great New York Times article: Guest-Teaching Chinese, and Learning America. C. Custer makes some great observations, and his article is well worth a read. Reading the NYTimes article, Ms. Zheng’s disappointment and frustration is palpable. Clearly, culture is a huge issue; the challenges faced cannot be explained away by outdated teaching methodologies. > Still, Ms. Zheng said she believed that teachers got little respect in America. And yes, there are also a few ironies in this article that anyone familiar with China will appreciate. If you’re a language teacher, you’re probably quite familiar with the concept of recasting, even if you don’t know the name. And if you’re a language learner, being aware of recasting can help you learn faster. So what is recasting? > Student: I want read. > Teacher: Oh, you want to read? In the above example, the English teacher communicates with the student (using a question to confirm what the student had said), while at the same time making a correction (adding “to”). The teacher may or may not choose to emphasize the correction. > Teacher: What do you want to read? In this example, while you could identify a correction in the teacher’s question, the focus is more on communication and less on correcting the mistake. I believe that much of my own success in acquiring Chinese has been due to (1) getting lots of practice with native speakers, and (2) being receptive to recasts. > Native speaker: Ohhh… AbcDe! The native speaker’s second utterance above was a recast, but as we see in the last line of the exchange, the learner didn’t get it. Yes, the recast was almost imperceptibly different from what the learner said originally, but recasts tend to be that way (from the learner’s perspective)… especially when they involve tones. As a learner, when you become more sensitive to recasts, you’ll hear them all the time. Think about it… some people will pay big bucks to a teacher in order to obtain explicit corrective feedback. In actuality, though, if that person is in a second language environment, he is probably getting corrective feedback all the time in the form of recasts and not even knowing it. Recasts are great because they don’t impede the flow of information and they’re usually not an embarrassing form of correction. They’re also great because you don’t get them if you don’t get out there and talk to native speakers. They’re a positive side effect of speaking practice. As a learner, recasts are your friend. At ACTFL 2008, Han Ye of the University of Florida presented the findings of an experiment on tonal recasting. The experiment sought to compare the effect of recasts on Chinese heritage learners with the effect of recasts on non-heritage learners. The recasts were all for tone-related errors. Interestingly, the study found that the uptake rate for non-heritage learners was 51%, but only 28% for heritage learners. I found this interesting for a number of reasons. The Chinese heritage learners were likely much more confident in their ability to communicate, and probably less self-conscious about their Chinese. The non-heritage learners are more receptive to feedback, but do they communicate as well? It is likely that the role of recasts is most important in the early stages of learning a language. Our own parents used recasting on us plenty when we were children still learning our mother tongues, but eventually, either they stop doing it or we stop paying attention. There are a lot of factors at play here, not the least of which are individual learning styles and learner personality. Recasting research continues. I’m just one of those people that likes to pay attention to recasts. > A: Your English is not like American English. > B: Oh, I see. What I speak is true American English, but it is not standard American English. > A: What kind of English is it? > B: It is Black English. > A: What is Black English? > B: Black English is as perfect as Standard American English, and in sounds it is equally distinctive. > A: Can you tell me the difference between Black English and Standard American English? > B: Black English is similar to Chinese in a way. > A: Is it like Chinese? > B: Yes. For example, a Chinese said, “我有5分钱”, there is no -s behind “钱”; an English or an American said, “I have five cents.” After “cent” there is -s; the Black English is “I have five cent”, no -s after “cent”. Another example, a Chinese said, “花红”, an American said, “the flower is red”, but the Black English is “The flower red”. > A: Oh, I see. What a bizarre topic to cover in a book supposedly focused on “useful English.” You only have so much content you can cover in the book, and only a small fraction of that is devoted to talking about language, but you kick off the chapter with a discussion of (morpho-)syntactic similarities between AAVE and Mandarin Chinese?? I’m well beyond being outraged about inferior English textbooks, though. In this case, I have to admit that it’s kind of cool from a cultural standpoint. I’d imagine that the average Chinese person is seldom exposed to such egalitarian linguistic concepts. You’ve probably heard that tests are a big deal in China, and thus test prep is big business. This applies even to such “un-gameable” forms of tests as free response essay questions. But how do you game the free response portion of an English test? Well, you memorize a number of essay templates, then just fit your essay answer into one of the templates. All you have to do is plug in a few relevant words and phrases, and with any luck, they’ll all be included in the essay topic. > At present, there is no doubt that 主题 plays an increasingly indispensable role in 领域/运用范围. 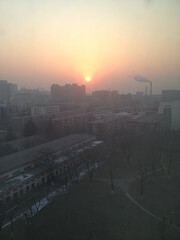 We are all aware that, like everything else, 主题 has both favorable and unfavorable aspects. Generally speaking, the advantages can be listed as follows. First of all, (优点1)… makes people’s everyday life more convenient. In addition, (优点2)… connects its users with the outside world. Most importantly, with a…, (优点3) people’s life will be greatly enriched. > Nevertheless, it is a pity that every medal has two sides and the disadvantages of 主题 can’t be ignored. To begin with, there will be a danger of (缺点1) spending too much time on it therefore ignoring what you should concentrate on. To make matters worse, (缺点2)主题 is most likely to add to your daily expenses. Worst of all, (缺点3)主题 may plunge you into an unexpected trouble. > As is known to all, 主题 is neither good nor bad itself. Its effects on people depends, to a large extent, on how 主题 is used. Now that the disadvantages have been put out, they will be paid attention to and eliminated to some degree. > We are very glad and excited that our dream of 主题 will come true/ have come true after a long waiting. People throughout the country have been celebrating the coming of 主题 in various ways and they are eager to participate in or experience in … person. > There is no doubt that 主题 will benefit China and Chinese people in more than one aspect. First of all, 主题 will expose China and Chinese to more domestic and foreign visitors, thus promoting the mutual understanding and friendship between people from different regions and cultures. More importantly, by interacting with people from different regions and cultures, people can learn from each other. Finally, 主题 will undoubtedly promote the development of the national and local economy. > Now that 主题 is significant to our country and the people, everybody involved should make his effort to contribute something to 主题. With everyone’s involvement and participation, 主题 will be a great success and is bound to benefit the country and the people involved. Somehow those “generic” topics don’t seem totally generic, do they? The templates above definitely used “topics with Chinese characteristics,” and they should certainly come to no surprise to anyone who’s lived in China in the past year. Can you imagine grading hundreds of these essays that mostly use the same templates? That would drive me insane. For those of you that find some morbid amusement in these essay templates like I do, here’s one site that hosts more of them online. There are some slight differences in wording between the ones I have in front of me and that site, but they clearly came from the same source. I had a great time interacting with other teachers at ACTFL 2008. Yes, what we do at Praxis Language is quite different from what the teachers in the trenches do, but it’s important to connect with them, to hear about how the classroom is changing, how the students are changing, and maybe even about how we might converge in some areas. I sat in on some particularly interesting talks on CFL (Chinese as a Foreign Language). Only half a year after I finished my own thesis, I felt I really needed to be reminded of the wide world of academic pursuits… some of the research was quite fascinating. I’m planning to revisit some of the topics here in my blog in the next few weeks. 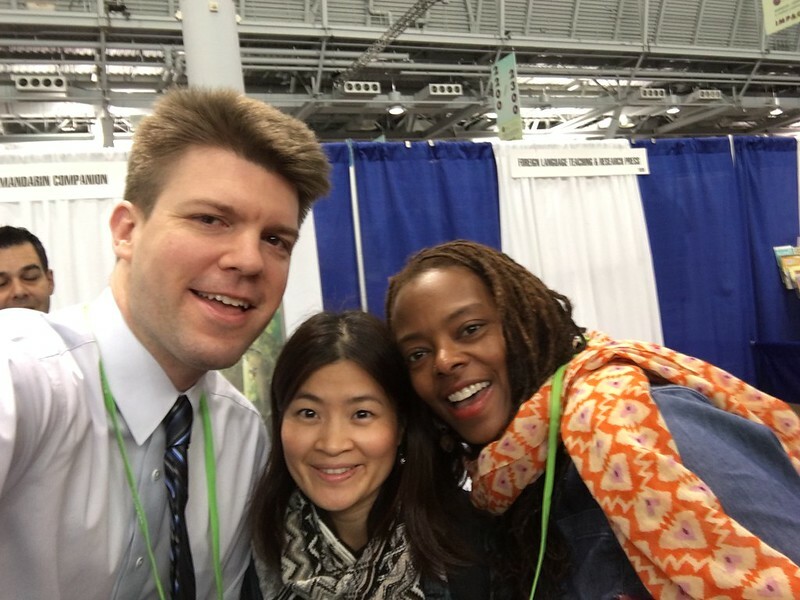 In the meantime, I’d just like to draw my readers’ attention to a cool product I ran into at ACTFL: Skritter [China-friendly link]. It’s a really well-executed online system for practicing character writing, and it has built-in support for Integrated Chinese. Check it out. > Dream, are you a dreamer? > Are you a dreamer? > Sleep, are you a sleeper? > Are you a sleeper? > Love, are you my lover? > Are you my lover? > Do you love me? > Save, are you a savior? > Are you a savior? As a linguist with experience teaching English, my reaction was, this song could be good material for teaching simple derivational morphology and question forms. It’s Euro Cup time, and as soccer fans, the Chinese are loving it. This punny headline caught my eye: “欧，MY GOD！” 欧 is a character most often used to mean “Europe,” but it sounds like the English interjection “oh.” “Euro Cup” in Chinese is 欧洲杯. This headline took me back to my English teaching days and an issue I faced frequently back then. It bothered me when my Chinese students said “oh my God” in English. It’s not an uncommon expression, and as a fair translation of the Chinese exclamation “（我的）天哪!” its use came to them easily. So what was the problem? Well, raised in a traditional Catholic family, I had been taught not to use God’s name in vain. There was a commandment expressly forbidding this linguistic behavior, and it wasn’t even #10, but #2, way ahead of more obvious sins like stealing and killing. I learned pretty quickly that most people (Christian or not) didn’t adhere to this commandment. I always thought it was interesting… it was a habit that was pretty easy not to get into, but almost everyone did, ostensibly because it was defined as a sin by Judeo-Christian dogma. And then the people that didn’t openly violate the second commandment still used obvious substitutes, like “geez” and “gosh.” This kind of behavior struck me as very similar to adolescent rebellion (in both its strong and weak forms), but on a sociolinguistic scale. It was also interesting to me as an example of a chicken-egg cultural phenomenon. So I had perspective on the whole “taking God’s name in vain” thing, and I had no real problem with other English-speakers’ “my God” exclamations. I never imposed my own beliefs on other people; I just didn’t use the expression myself. With my Chinese students, however, it was different. These were students with no Judeo-Christian cultural background. They weren’t willfully violating a commandment of a foreign god; they were simply using the language they had learned in a textbook. I recognized this, but I felt they should be aware of the cultural implications. I never told them not to say “oh my God,” but I taught them what the Judeo-Christian second commandment taught, and pointed out that they would never hear me use that expression. They needed to know this, because while I was perhaps not representative of the average native English speaker, I was not a total anomaly. Some people are actually offended by the phrase “oh my God,” and I didn’t want my students to be completely confounded if it ever happened to them. More important, I wanted my students to appreciate this real-life example of culture’s grip on language which their education up to that point had never touched upon. Unsurprisingly, some students took my point to heart as a significant cultural issue, while others brushed it off. Ah, there are times when questions of religion and language make one long for simpler pursuits… Like watching a soccer game. One thing I’ve noticed about students of English in China is a tendency to ignore contractions. Chinese college students tend to be weak on spoken skills in general, and one of the symptoms is this failure to use contractions. We native speakers like to use contractions in informal speech, and as a student of English, failing to follow suit makes you stick out. When I taught English in Hangzhou, I used to focus on the use of contractions to get my students speaking more natural English. > I’m a college student. > I am a college student. > He’s a very smart* boy. > He is a very smart boy. Obviously, these are not heinous mistakes, but it does make me wonder why for something so simple, the students don’t just read what’s written there. Common sense tells me it’s just a habit. The teacher once told them, “I’m” means “I am” and “he’s” means “he is,” and it was just easier to convert it over, in pronunciation as well as in meaning. And the teacher didn’t care. Still, a part of me wants to link it to characters somehow (you can’t contract 我是 or 他是**), or some “deeper” reason. I have to mentally smack that part of me… contractions are something of an ordeal for any learner of English; being Chinese has nothing to do with it. If you’re teaching English, though, one easy way to help your students sound more native is to remind them to use contractions in their speech, or at the very least to get in the habit of pronouncing them correctly when reading them. Hank from ChinesePod has written a Language Podcast Survey, presenting the biggest players in the world of language learning by podcast. ChinesePod is #1 in terms of total number of podcasts (300+), but JapanesePod101 is not far behind. There are also four other podcasts for learning Chinese in his list, as well as one for Tibetan! If you’re interested in language learning, be sure to check it out. Do you know anyone who has “volunteered” in China? Volunteers are often good, selfless people, but I can’t help but see most volunteers in China as suckers. I’ve just seen a little too much about the way it usually works here. There are tons of “programs” that, for a fee, help you find work teaching English in China. 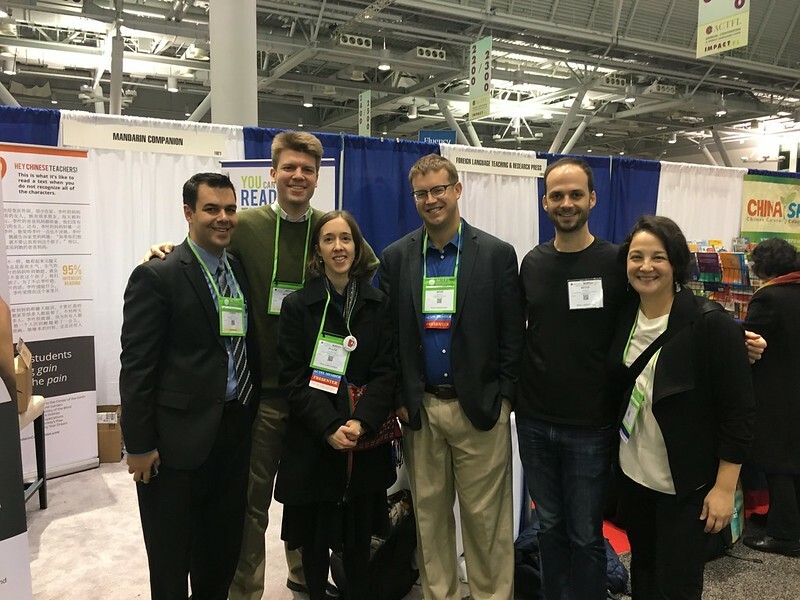 These programs make deals with schools–either directly or through intermediaries–to provide English teachers. They charge both the teachers and the schools as much as they can get away with, pay the teachers an extremely modest salary, and end up making a very nice little profit on the deal. If their teachers are volunteers, it’s just all the more profit for them. Too often, the teachers are new to China and very naive. They realize their pay is very low, but they explain it with, “China is very poor.” After living in China for about a year, they often learn that the local director for their program drives a BMW, that other English teachers make about three times what they do for the same work, and that their students are no more disadvantaged than most kids in China. Now obviously, the respectability of different programs will vary. I’m sure some of them have admirable goals. But if the organization uses any kind of local “middle man” to find its schools, some kind of funny business is almost a sure thing. The English teaching business attracts quite a few unscrupulous individuals. I shouldn’t pretend to know too much about how these organizations work, but I do know enough to recommend this: if you’re looking into any kind of volunteering program in China, be very, very wary. The primary beneficiaries of your good heart and hard work might not be who you think. > It’s common for people to envy the people who are better than them. > Let me compare myself with Bill Gates. You may say he’s richer than me. Well, yes, he certainly is. You may say he’s more powerful, more successful, and harder-working than me. I can accept all that. But if you say Bill Gates is better than me, I have to disagree. As humans, we are equal. > It’s common for people to envy the people who are better off than them. Sometimes you really can’t guess what will be difficult to explain. While I used to live in Hangzhou, I made the observation that Chinese people seemed to have an unreasonable fear of germs. True, China is not always the most sanitary place on earth, and there’s no question that many Chinese germs live out a blissful existence where antibacterial disenfectants are restricted to germ horror stories. Still, I felt that the germ threat was overplayed in a lot of cases. I will offer but one example. My students gaped in shock at the mere suggestion. They required prodding to take the question seriously enough to actually answer it. What would be the probability, from 0% to 100%? I started getting some answers. 80%, one said. 90%. Even 99%. One or two students ventured as low as 40% or so. I couldn’t believe it. They laughed at me when I told them I thought the chance was less than 5%. I was really tempted to drop an M&M and eat it right there in front of them to prove my point, but that didn’t seem like a very teacherly thing to do. 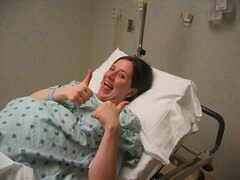 Plus, if I did, by chance, catch a cold (it was early winter), I would never live that down. For a nation of people that believes in Chinese medicine’s power to boost the body’s natural defenses, I would think they would have a little more faith in the human immune system. Create an easy reference for myself, since I’m very forgetful. Provide a reference for friends and family with regards to ZUCC friends.